The United States is full of national monuments that have a rich history, significance, and many stories to tell. Each one of these historical sites has its own beauty, witnessing the extraordinary past of the nation that every person should know. Visiting the national monuments of America is a quite a fulfilling journey that can help you understand what was going on in the past on the territory of our country, and at the same time make you understand how this country became one of the most powerful in the world. One of the best ways to do so is to take a trip to at least one of these magnificent national monuments and be proud of your ancestors. Devil’s Tower is the first national monument in the United States. It was inaugurated in 1906 by President Theodore Roosevelt, and since then it has been the most popular rock climbing spot in the country. 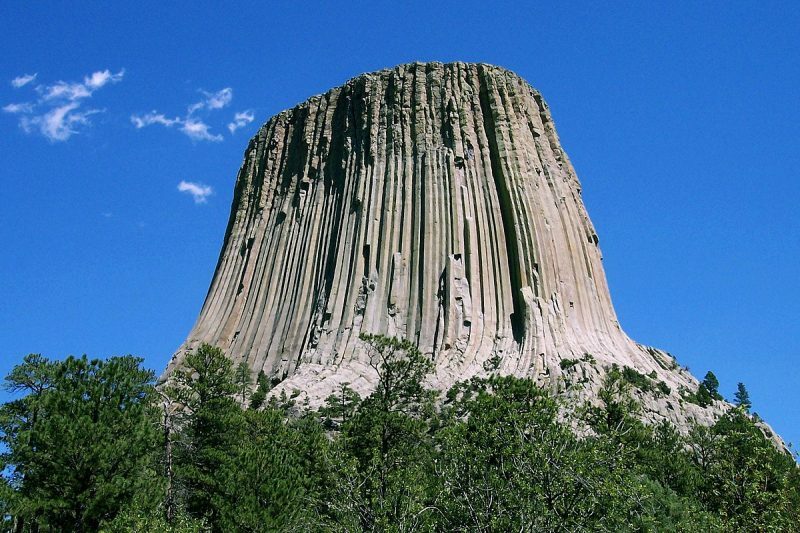 You can visit Devil’s Tower in Crook County, Wyoming, and admire its fascinating geological structure. This national monument got its name in 1875 and stands out above the surrounding forests like a guardian of time. 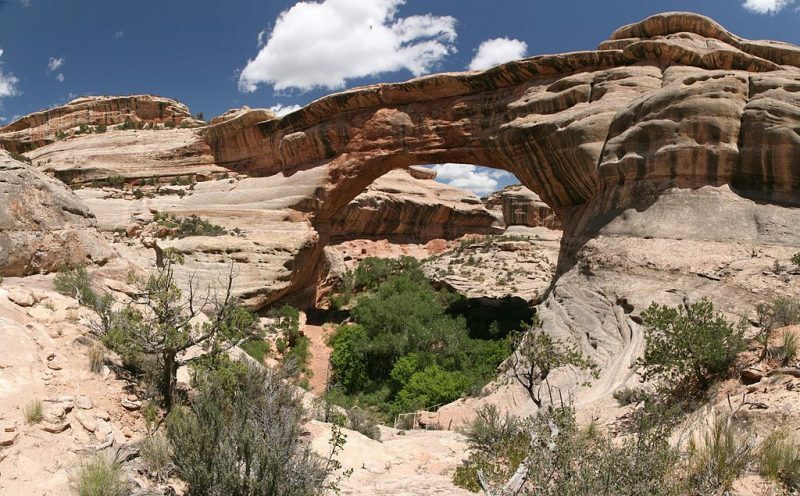 If you want to witness some seriously spectacular natural architecture, then visit the southeastern portion of Utah and explore Natural Bridges National Monument. It was named a national monument in 1908, and it receives countless numbers of visitors every year. Natural Bridges is one of the most beautiful landmarks that the state of Utah has to offer to the world. You can enjoy these mega natural structures from your car, or hike the short trails that start from the road and have a closer look at the bridges. 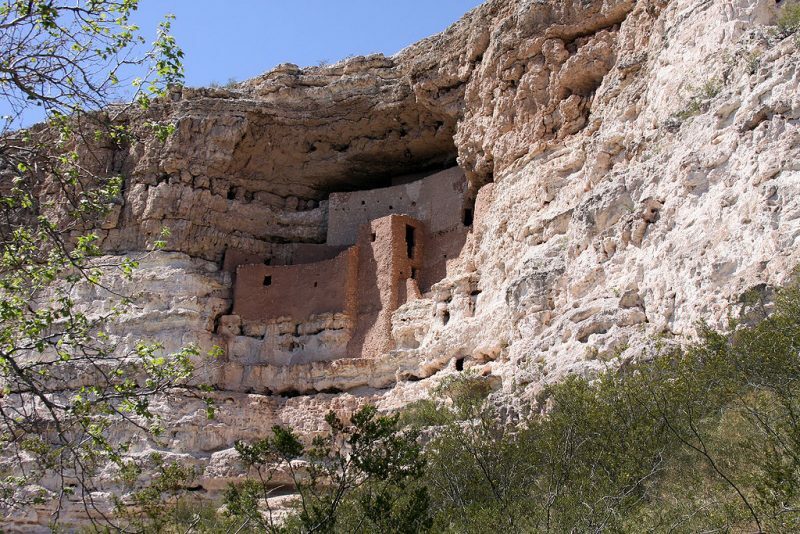 Montezuma Castle National Monument in Arizona is the perfect place to visit, especially if you’re interested in learning more about the ancient history of southwestern United States. Montezuma is located in the valley of Verde River, and it represents an impressive structure of five stories and 20 rooms carved in sandstone cliffs. The castle is one of the most magnificent ancient dwellings in the country. 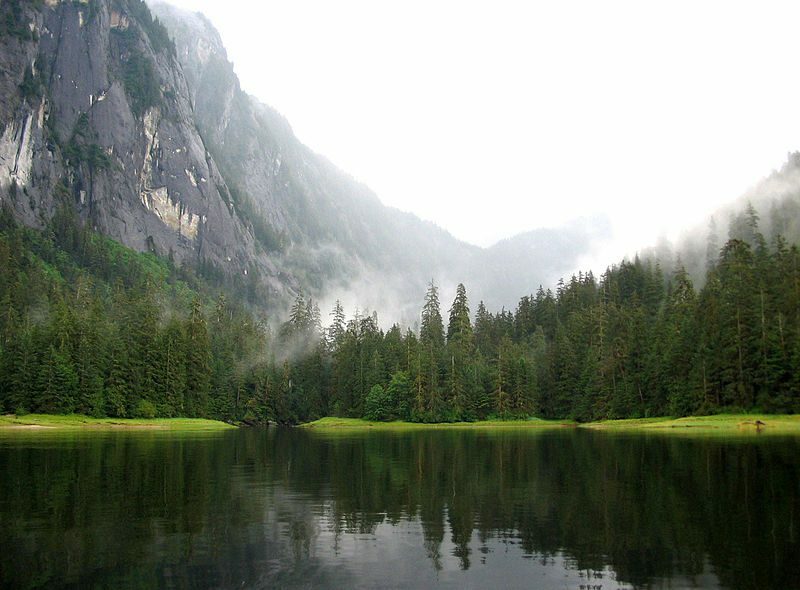 Misty Fiords National Monument hosts some of the rarest and most extraordinary landscapes in the United States. Knowing that the national monument is within the 17 million-acre Tongas National Forest in Alaska, you can easily understand that Misty Fiords is a top-class natural wonder that waits to be explored and admired. The sceneries here are so unique and unusual that you would want to come back after your first visit. As a visitor, you can visit the countless inlets and islands by a seaplane, which adds more excitement to your national monument tour. All the glaciers and waterfalls you’ll get to see here will stay carved in your memory forever. Make sure to take along your adventurer friend. 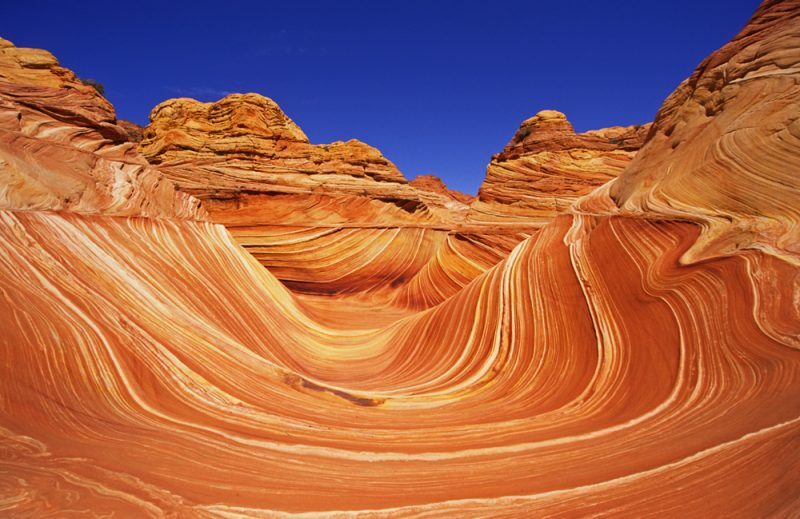 Vermilion Cliffs National Monument is probably one of the most rustic in the country due to the lack of visitors center and information. Nevertheless, it’s incredibly beautiful and spectacular, so when you see the curtain-shaped sandstone cliffs, you will be so mesmerized that you won’t even notice there are no paved roads and marked trails. The outstanding scenery will blow your mind away, and you will spend hours staring at the curved rock wondering how were they formed. When you get here make sure you pay attention to what’s flying above your head because you may spot some falcons, hawks, and eagles. 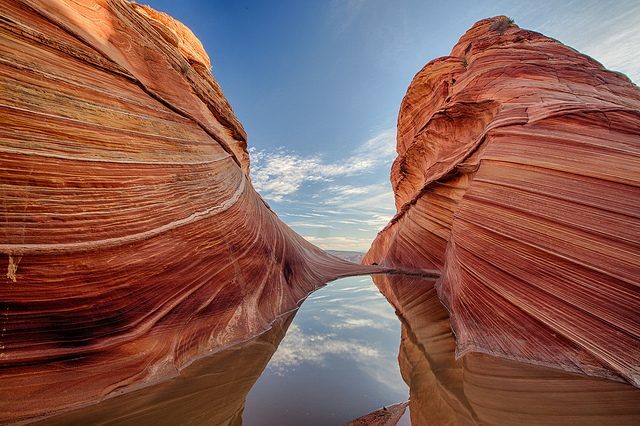 If a day spent in Vermillion Cliffs is not enough for you, check out the nearby Paria Canyon where you can join a five-day camping trip and have a real backcountry experience. 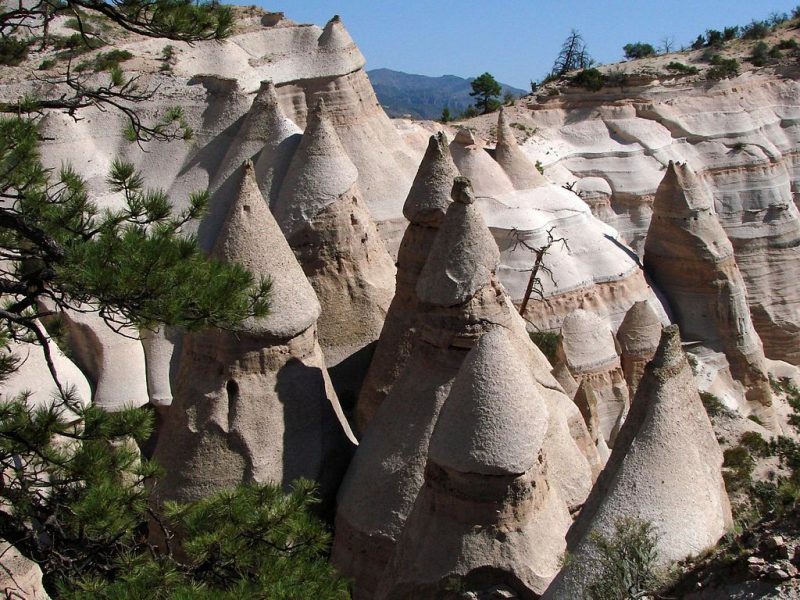 Kasha-Katuwe Tent Rocks National Monument in New Mexico is another great example of how diverse the landscape in the United States can be. The everlasting beauty of the rock formations is telling a story of the rich geological past of the area. The good part about visiting Kasha-Katuwe is that here you can find a lot more than cone-shaped rocks. Wildlife spotting is the second biggest attraction in Kasha-Katuwe National Monument that you can enjoy from the recreational trails around the tent rocks. The natural national monuments of the United States are one of the biggest treasures that the country has. Think about how would the landscapes look like without all of these magnificent creations all across the nation? Visiting these spectacular sites is the best thing you can do this summer, and maybe even make a road trip and visit a couple of them. Keep in mind to dress properly and wear sturdy shoes at each of these locations. A lot of water is also a must while trekking in these areas. Now it’s up to you to decide which way to go. Good luck!